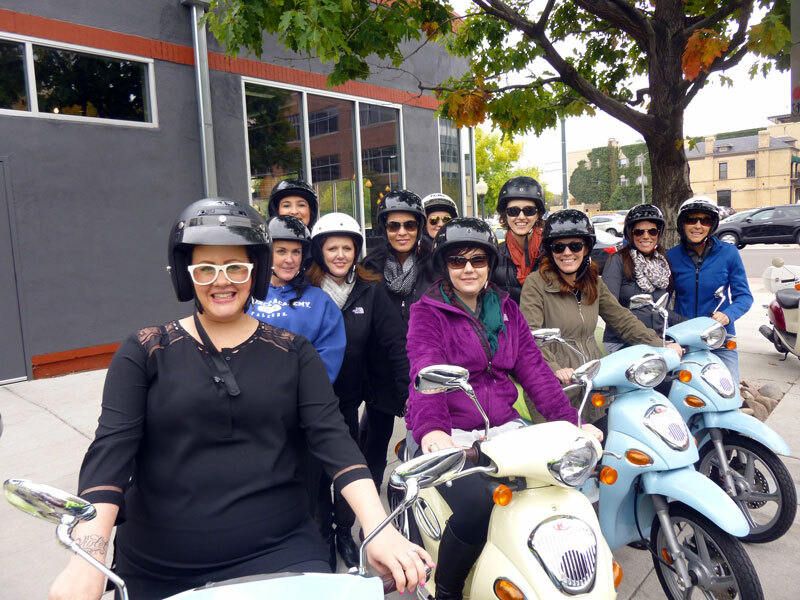 We provide a 50-cc scooter, liability insurance, all of the gas so you don't need to refill, complimentary route map, a pre-ride photograph, eye protection, helmet, lock, sunscreen, gloves, hand warmers, and great suggestions! Bachelorette party? Corporate outing? Family reunion? Call to discuss special rates and discounts. Book Online here or call us at (720) 523-3240.